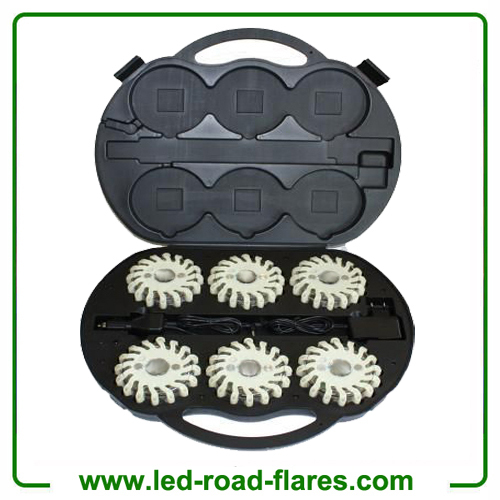 Led Road Flares is a great device to make you and your car seen and safe. If your car breaks down at night, in the fog or rain day, Rechargeable Led Road Flares will make your car seen to prevent traffic accident at night or on a rainy or foggy day. 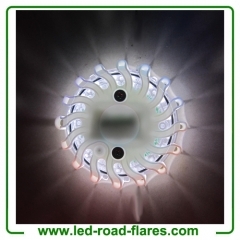 Led road flares is a great item item for traffic control, power blackouts, earthquakes, rescue signal, car driver, tactical police, military operations, vehicle breakdown, firefighters, EMTs, SCUBA diving, rescue services, first responders, members of emergency response teams and the general public and widely used in bike, cars, motorcycle, trucks, boats, equipments, marine, RVs, semi-trucks, airport, construction zones, DUI checkpoints, mass casualty, disaster incidents, personal safety and emergency response vehicles. 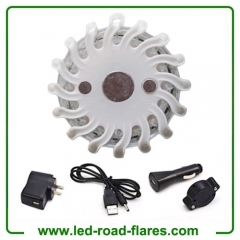 Rechargeable White Led Road Flare offers so many great benefits. Compared to other typical road flares, the led rechargeable road flares excels in long-lasting durability. We're talking a crush-proof and corrosion proof polycarbonate plastic exterior and impact resistant rubber housing. 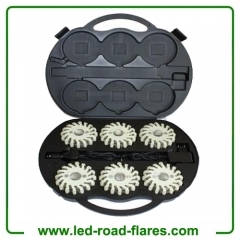 What's more, led rechargeable road flares offers low maintenance with an internal lithium battery that's rechargeable so there are no costly batteries or replacement concerns. Whether driving a car, truck, boat or other vehicle, rechargeable road flares is an ideal emergency signaling device. Its versatile design allows it to lie flat on any surface or on its edge to accommodate any emergency signaling need. Furthermore, these waterproof rechargeable white led road flares float, making them suitable for a myriad of marine uses, including boater emergency safety. Place and anchor on top of the water to designate a work zone or prohibited area. Rechargeable Led Road Flares is an essential piece of equipment for police, firefighters, EMTs, rescue first responders, and members of emergency response teams, offering a great addition to personal safety equipment for any motorist in an event of a car breakdown or accident. For a vehicle crash, Led Rechargeable road flares will keep your car visible. You can even employ the light to perform as a taillight. In the event that you are in an accident, a flashlight can come in handy for many reasons. It can help to survey the damage of your vehicle or the other vehicle or vehicles involved in the collision. You can also use it to flag down other vehicles and warn them of your presence on the roadway. In some cases, you may also need to navigate uncertain terrain, such as a field, either to get to a collision scene to help, or escape from one. 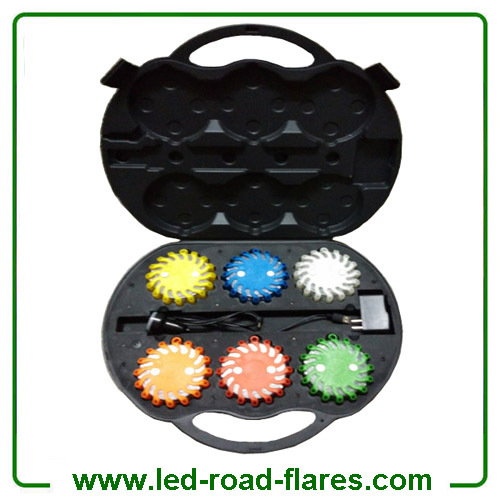 We offer different colours led road flares, white led road flares, black led road flares, red led road flares, green led road flares, yellow led road flares, amber/orange led road flares and blue led road flares. 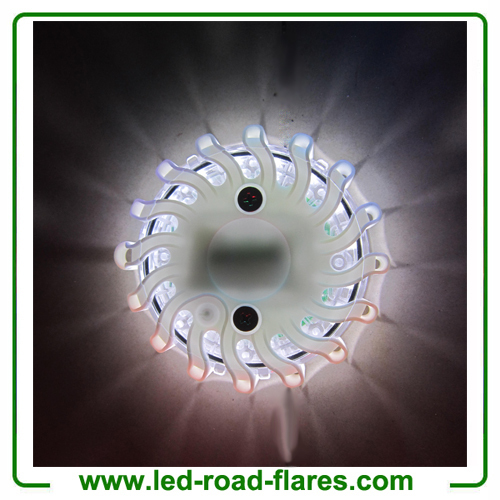 In addition, customized colours are available for led road flares.